“I think I’m very uncomfortable with imperfection and in being fallible and how you live with your own imperfection,” says Atul Gawande. A little ironic, as he shared these words as part of his talk for the 99th Ingersoll Lecture on Immortality and Convocation at Harvard Divinity School held on September 6, at Sander’s Theatre in Cambridge, Massachusetts. I felt pretty fortunate to land 2 free tickets to this event. Having just finished Dr. Atul Gawande’s latest book, “Being Mortal,” I was curious about what he had to say. Dr. Atul Gawande is a professor in the health policy and management department at the Harvard University School of Public Health. He is also a general and endocrine surgeon at Brigham & Women’s Hospital in Boston. Jamie Dimon, Warren Buffet and Jeff Bezos announced in January of 2018 they hired Gawande as the CEO of new nonprofit company whose goal is to lower health-care costs for the 1.2 million employees of the J.P. Morgan, Berkshire Hathaway and Amazon companies. I was pleased that the evening was more of a conversation than a lecture, we got to see a bit of his personal side (we learned about Dr. Gawande’s massive record collection that showcases his eclectic taste in rock music). During the 80 minutes of discussion between by Dr. Gawande and Harvard Divinity School Dean David Hempton, Gawande discussed some of the same ideas he has written about in his most recent book. 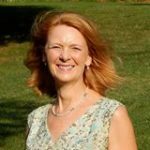 There is a misconception by many in the healthcare industry that what patients want when faced with serious illness is to avoid pain and to extend their lives at all costs. When treating patients facing illness, doctors typically provide diagnoses, potential treatment options, and probability of survival, then leave the patient to make their decision about the care they want to receive. The important knowledge Gawande has discovered is, “Just simply asking people: What are your priorities for your quality of life, as well as your minimum quality of life, and what are you not willing to sacrifice?” Patients “have priorities in their lives aside from living longer. The goal isn’t just immortality; it isn’t just survival at all costs.” Gawande sites examples of people who are willing to sacrifice their health, money and even their lives for what is important to them. Being at peace, with family and their higher power and not being a burden to others are often what patients talk about when asked what is important to them as they face illness. It is not the norm for patients and doctors to talk about these priorities because these conversations are often uncomfortable and many physicians lack the training about how to discuss quality of life with a chronic illness or end of life issues. Another reason why doctors do not ask patients about their priorities is because our society has changed how it views aging. At the beginning of the 1900s life expectancy was just 47 years. Old age was considered good fortune, it was not viewed as something that increased your risk of dying as it is today. 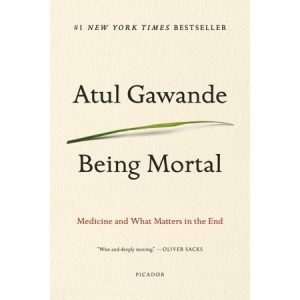 Gawande realized as he wrote “Being Mortal” that the book is about much more than just facing death. The everyday presence of mortality is the real theme.